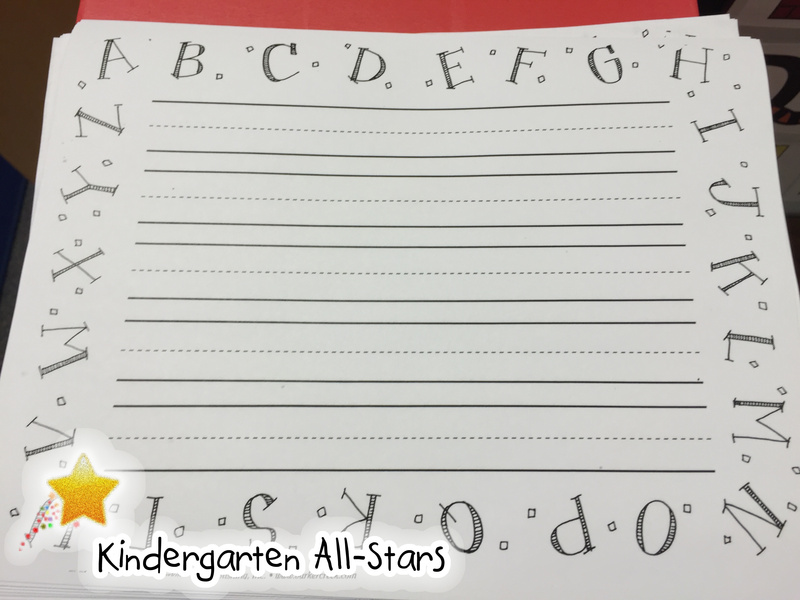 This page of Kindergarten All-Stars is where teachers can go to get simple and easy tips to make your classroom run smoother and be more organized. The two main sections of this site includes behavior management and classroom design. Behavior management includes tips on how manage students behaviors in the classroom to minimize disruptions, improve classroom culture, and increase productivity. Classroom design will include tips on how to organize the classroom in a way that can minimize the amount of down-time. This is section is not a complete walk-through of my classroom, for that refer to the my classroom page. 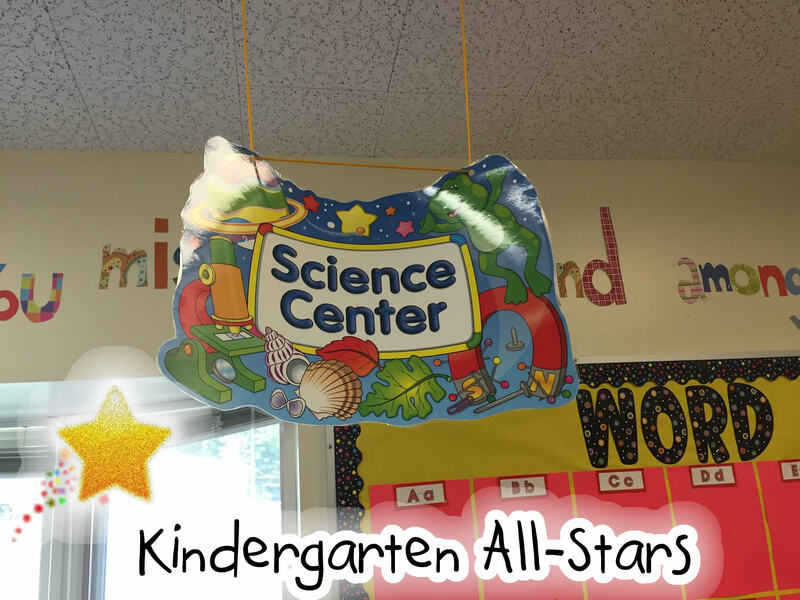 Thanks to an increase in the rigor and academic requirements in kindergarten; many classrooms have moved away from any sort of play to meet the increasing demands on kindergarten students. However in our class I believe it is possible to mix academic skills with that “free choice” time that used to be a staple in kindergarten. In my “free choice centers” each student gets their own clothespin with their name on it. They take their pin and place it on a dot under the specific center that they want. If all the dots are filled they are taught that the center is full. 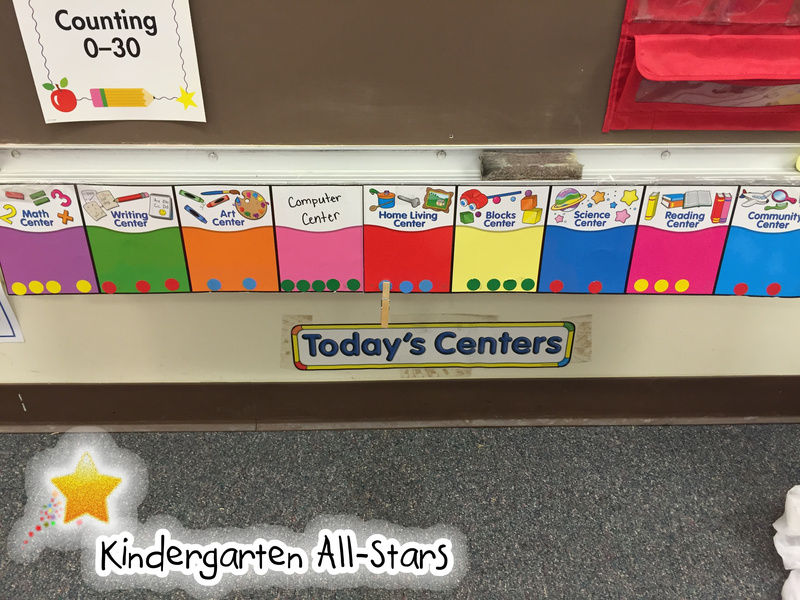 If a student wishes to change centers, they simple take the clip and move it to the new center that they wish to go to. 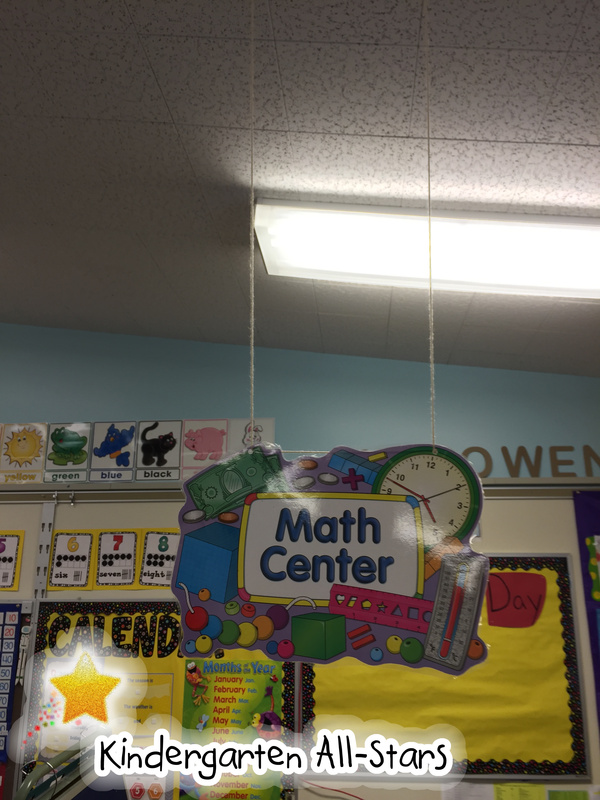 The pictures are examples from a few of my centers. The first picture is from my science center where students will be exploring the topic of sink and float. 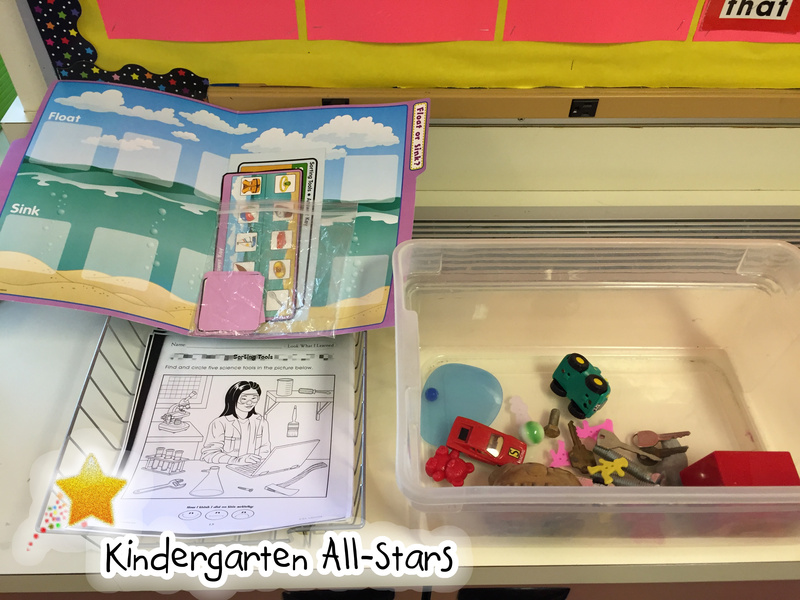 The tub will be filled with water and students will take assorted items and determine if they sink or float. 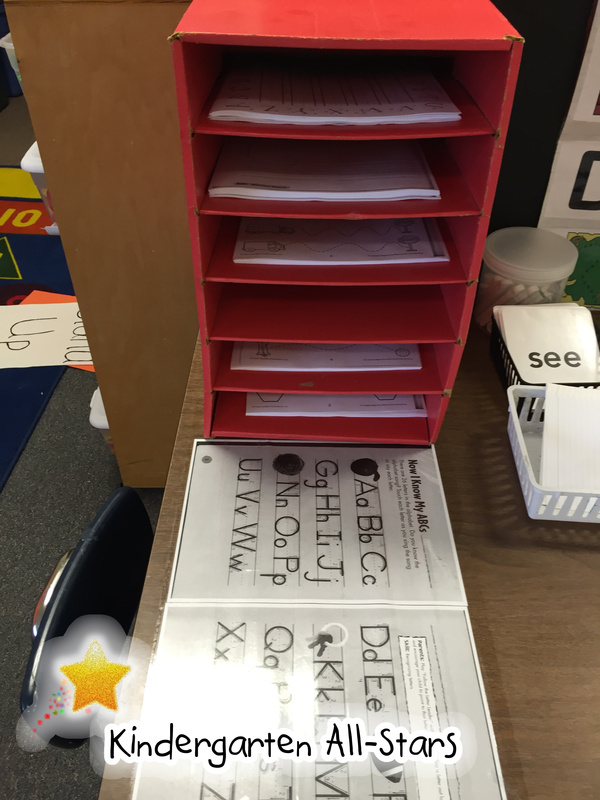 Then there is a folder game and a matching worksheet activity. The science center allows children to freely explore the items in the water. If a student gets bored with the water they can choose to do the extra activities that also support the skill. 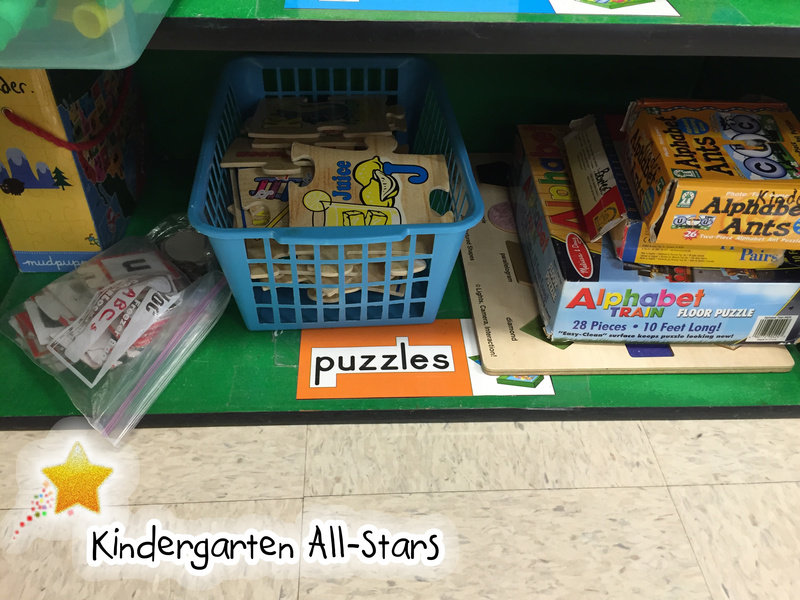 In the blocks / puzzles center there are a wide variety of activities that allow students to not only strengthen their fine motor skills but also support academic skills. While I do have building blocks in the blocks / puzzles center; I also have puzzles that match upper and lower case letters, build cvc words, match numbers and quantities, and a whole lot more. 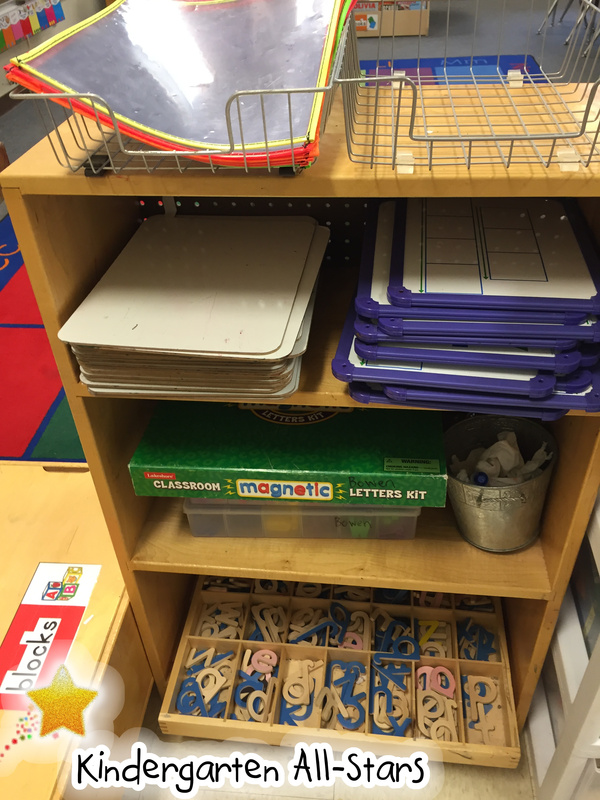 I also have magnetic letters that students can explore freely. To help direct the students play, I may put sight word strips, cvc words strips, or abc order strips in the centers that the students can copy / build using the magnetic letters. 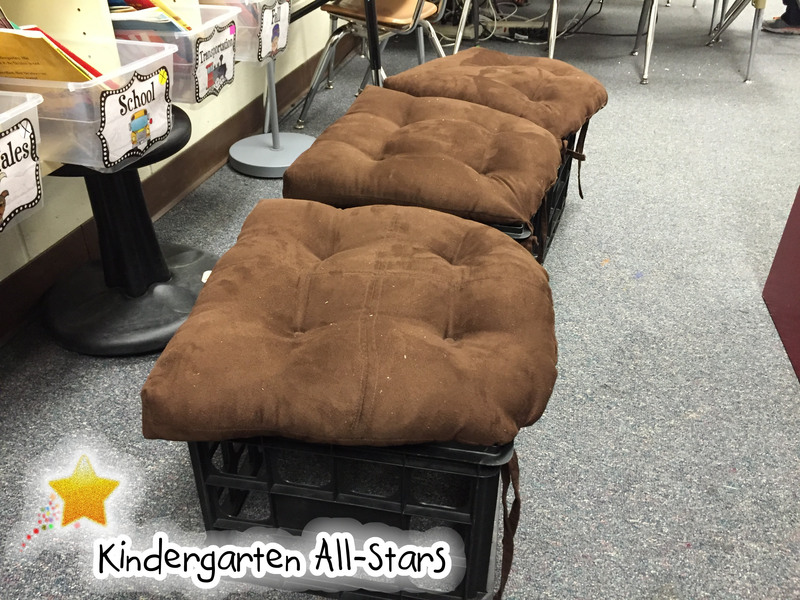 This helps students build those academic skills that they need will still learning to share and work together. In the library center I have books organized books both by themes and leveled readers. The leveled readers are from the Reading A-Z website. 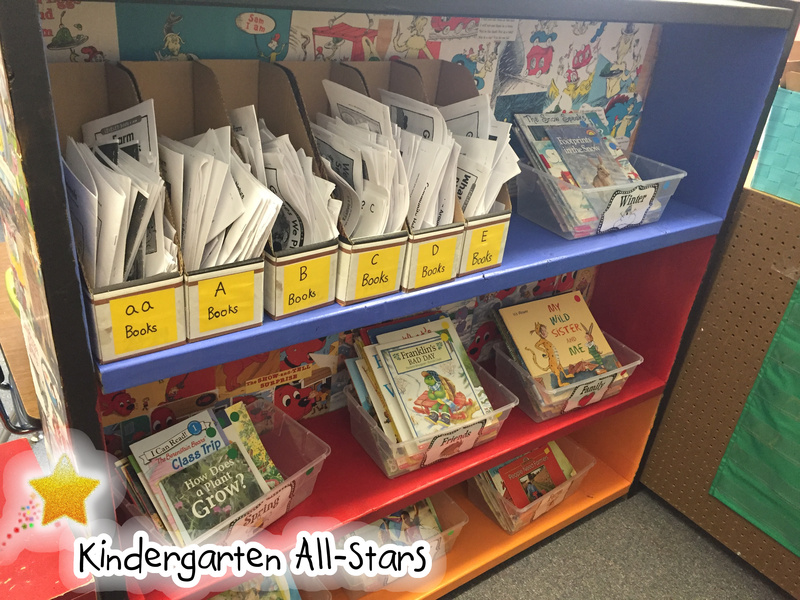 Students know what level they are on and they can pick from any of the books in their specific level. 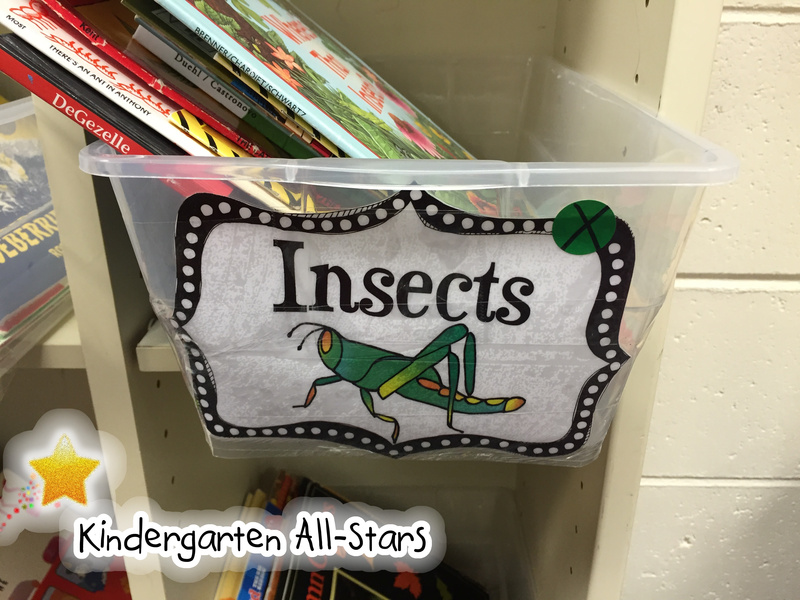 If they want to read or look through a book that we’ve read aloud in class, or find a book about a specific topic they can use these bins. 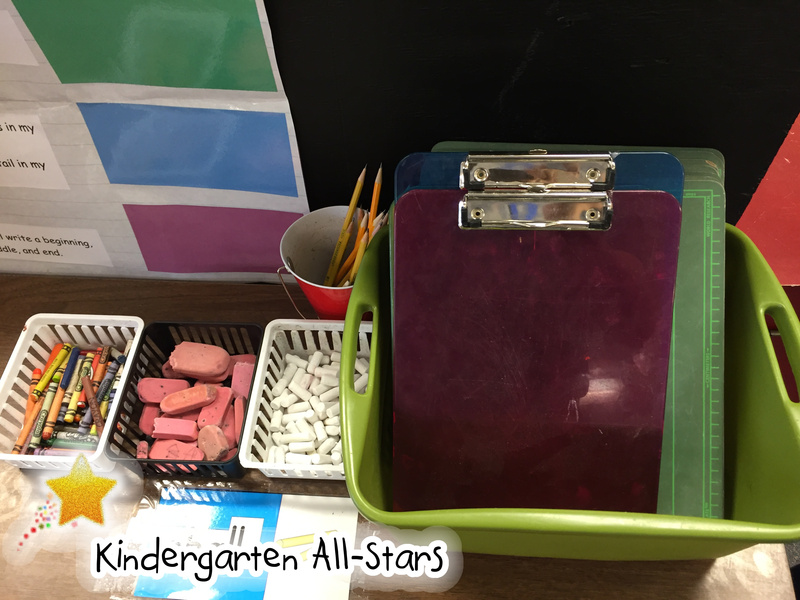 I make sure that students can self manage this by putting a colorful sticky dot on each bin, each theme has their own specific sticker. All the books that belong in that theme bin will have the same sticker on the book. 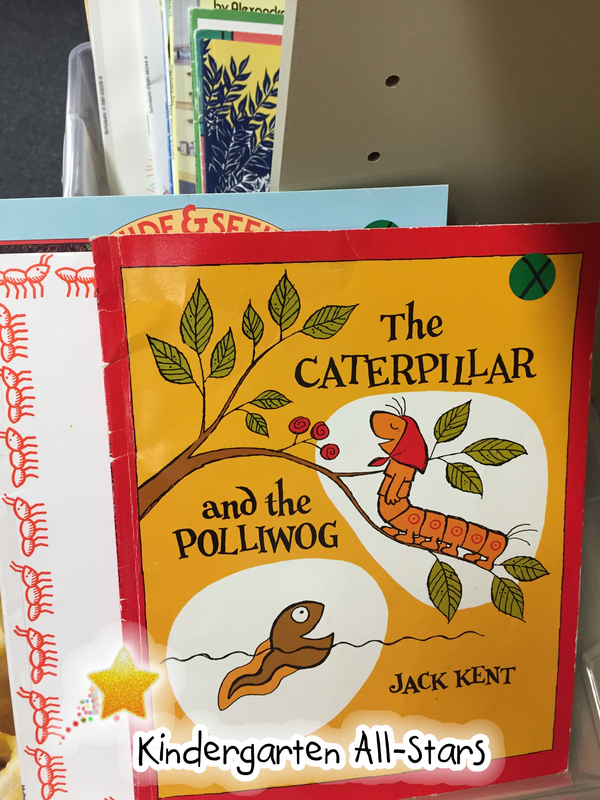 The students can just match the sticker to the bin to make sure they put the book back where it belongs. The writing center is one of my favorite centers. 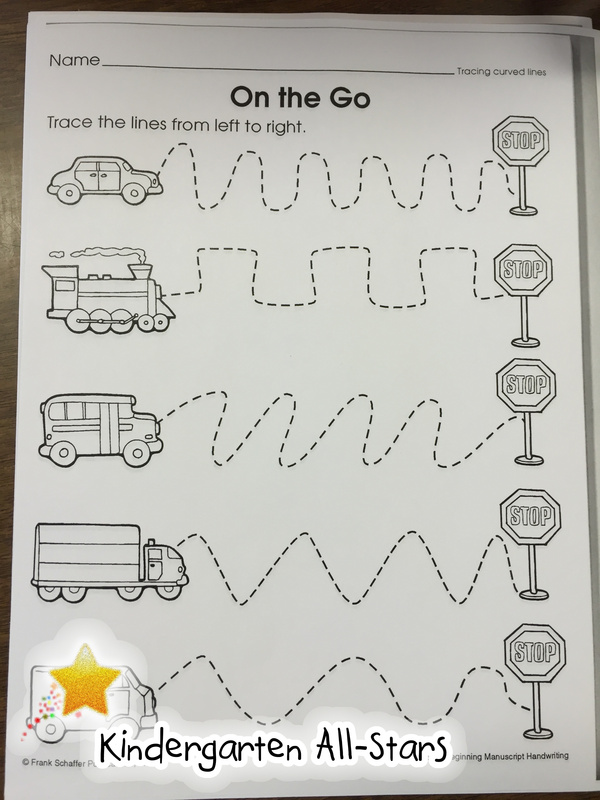 At my writing center I have many different activities available for the students to do including tracing pages to help students improve their fine motor skills especially at the beginning of the year. On the back of the bookshelf I have chalkboard paint where I can write in chalk a writing prompt for students to respond to if they don’t have an idea for what they want to write. I also have many different tools available for them to use at the station to help them wit their writing. There are crayons for drawing their picture, clipboards if they want to do some write around the room, individual chalk boards if they want to do some writing in chalk, spacing tools to help students make spaces between their words, sight word cards, and alphabet postings to help them remember how to write their letters. Plenty of things for students to explore in this center! In short these are just a few examples on how you can still allow for choice and play in your free choice centers but also cover those academic skills. It is important that students gets that time to explore, chose, interact, cooperate, share, and yes even play. If you notice one center is being used too much but another center is not being used at all; it is okay to “close” a specific center for a few days to help generate interests for other centers. 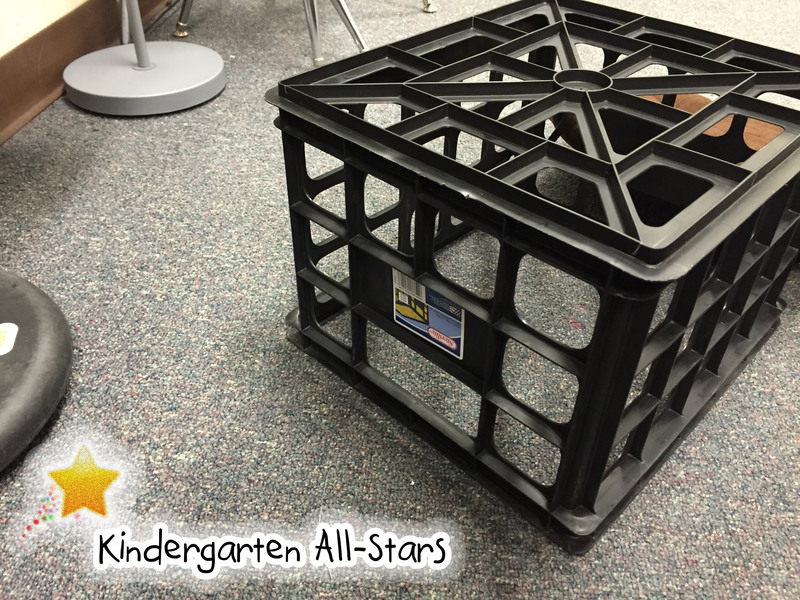 If you have already sunk a bunch of money into your classroom and are looking for a cheap, quick, and easy way to make some seats for your library; try using plastic milk crates and seat cushions. 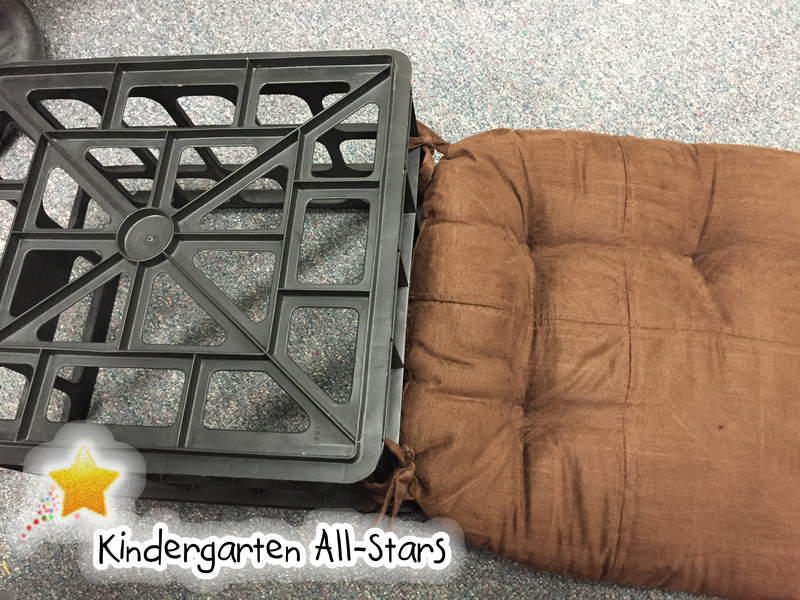 You can find the plastic milk crates and seat cushions in any Wal-Mart, Target, Fred Meyer, Meijers, ect. Make sure the cushions you find have either strings attached to them or sew on some matching strings that you can tie to the crates. So if you’re like me, you get tired of hearing from your class “teacher my pencil is broke”, “my pencil is dull”, “I don’t have a pencil”. Well here is an idea that I’ve implemented. Over at my shared materials area I have a container for sharpened pencils and unsharpened pencils. When a student has a pencil that is dull or broken they put the pencil in the unsharp container and take out a sharpened one. Students do not have to interrupt class or even ask to get another pencil, they just go and retrieve one. One of the classroom jobs I have is pencil sharpener. 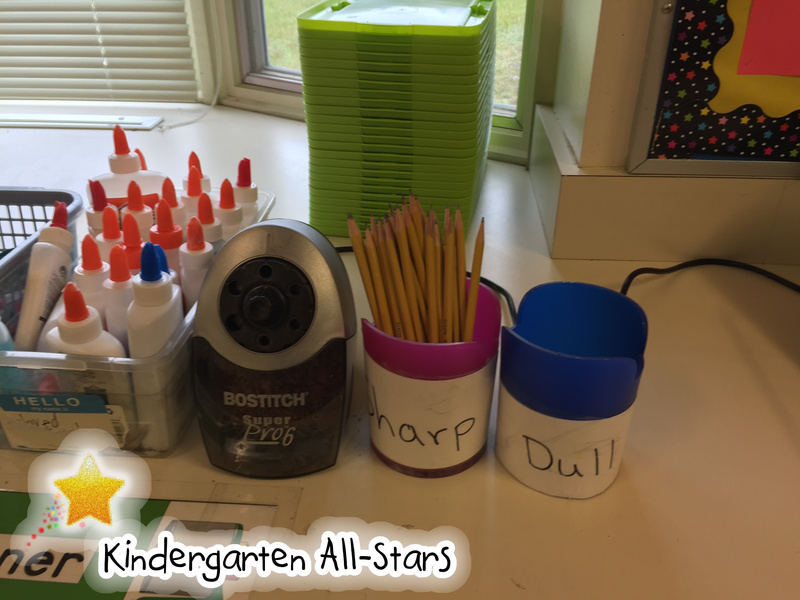 During free choice centers the pencil sharpener sharpen all the dull pencils and put them back in the sharp container. 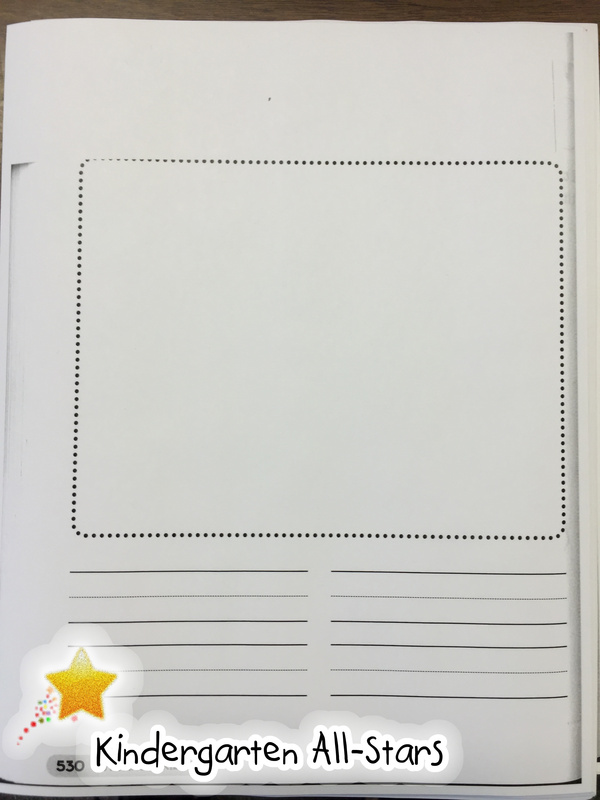 Here’s another tip that is simple yet an effective way to help minimize interruptions and student downtime. I had found that many times when we were doing a coloring activity, if a student was looking for a certain crayon it would be an easy distraction for them, and it lead to a lot of off task behavior. Even though I have a collection of craysons in a bin at their tables. So thanks to an idea from another teacher in my building, I have a collection of crayons sorted by color over at the shared materials. 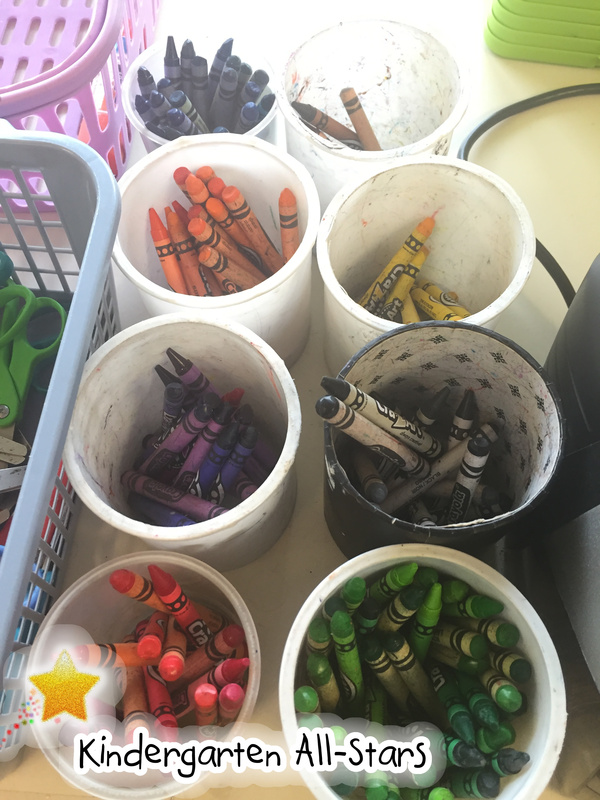 Students looking for a certain color do not have to ask, they go to the shared materials area and grab a crayon. Students are asked to return the crayon when finished.